It is no surprise to anyone that knows me that I love my dogs. The reason I love my dogs so much is the unconditional love they give to me. The love of a pet is something that is unrivaled. There is nothing quite like the excitement my dogs show when I come home after a long day or when they lay down and cuddle with me when I am not feeling well. My dogs are a huge part of my life and I do all I can to meet their needs; physical, emotional, mental, and social needs. Today I wanted to share with you a easy and fun project that your dogs will love and that you will feel good about doing for them. After all, wouldn’t you want to reward the love “nudges” from your dog? You can “nudge them back“!! Real meat is the #1 ingredient! There is more though! The treats look like something people would eat and are obviously inspired by food humans eat. I knew right away my dogs would love them. We found Chicken and Steak Grillers as well as Chicken Bacon and Beef & Cheese Sizzlers. We bought all the flavors in the 3oz size but also found that some of the flavors had 18oz sizes too! The favorites for our pups were the Nudges Beef & Cheese Sizzlers and the Nudges Steak Grillers. I liked how the treats smelled (seriously, they smell good) and the texture was actually like meat. I knew right away that my dogs would do anything for these treats, which led me to a way I could meet their mental needs. I would create a Busy Ball Toy that could keep the dogs occupied while I am away from home. They would be so busy that they may be able to forget that I am not home with them! 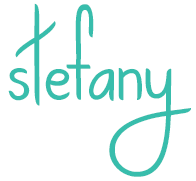 It’s super easy to do this! 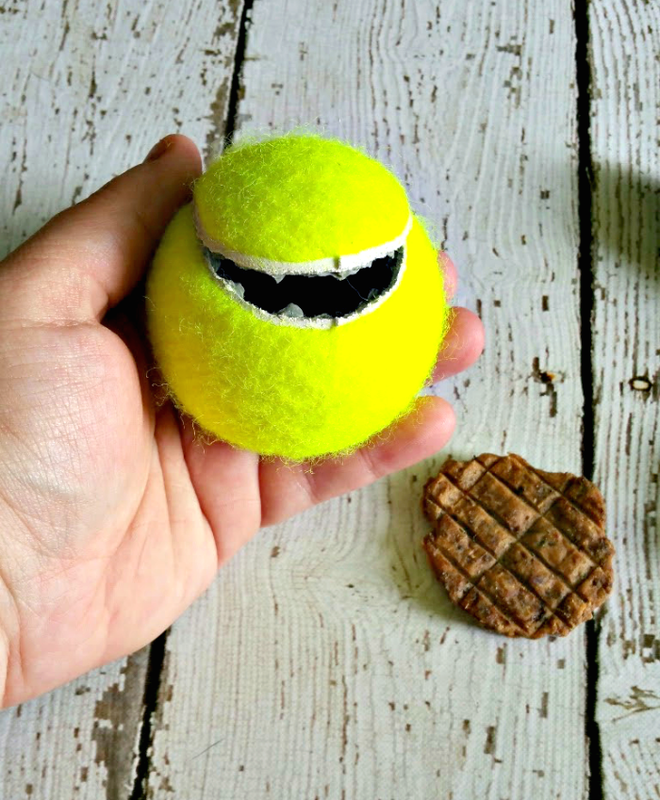 All you need is a tennis ball, something to cut it with (a box cutter or knife), and the treats your dog loves. Of course, we used our Nudges Grillers or Sizzlers! Cut along the rounded side of the tennis ball on one side. Then you can add the Nudges Grillers or Sizzlers in the hole and push the flap inside. Your dog will go absolutely ecstatic when they see and smell their new toy! 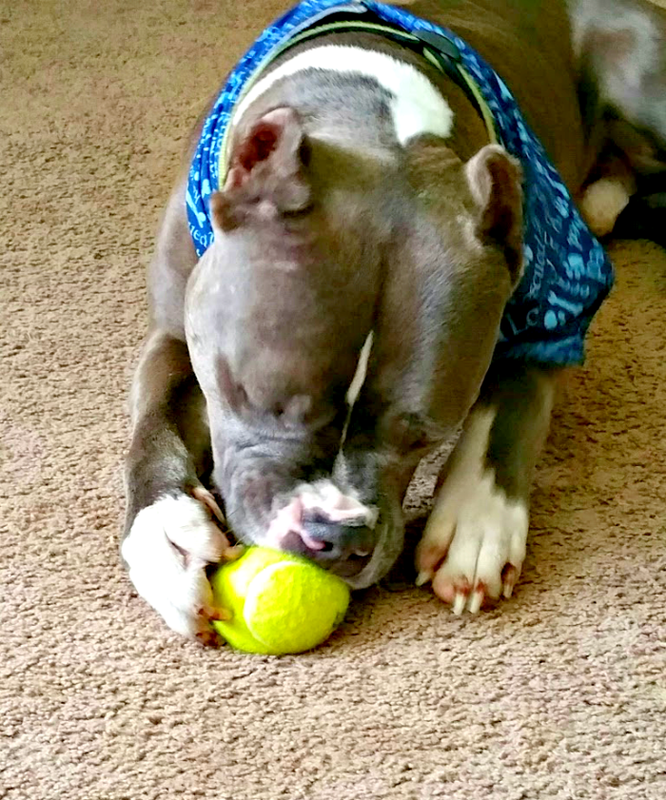 Rocky got busy right away trying to get the treats out of his Busy Ball Toy. He chewed, pulled on it with his feet, and tossed its around. 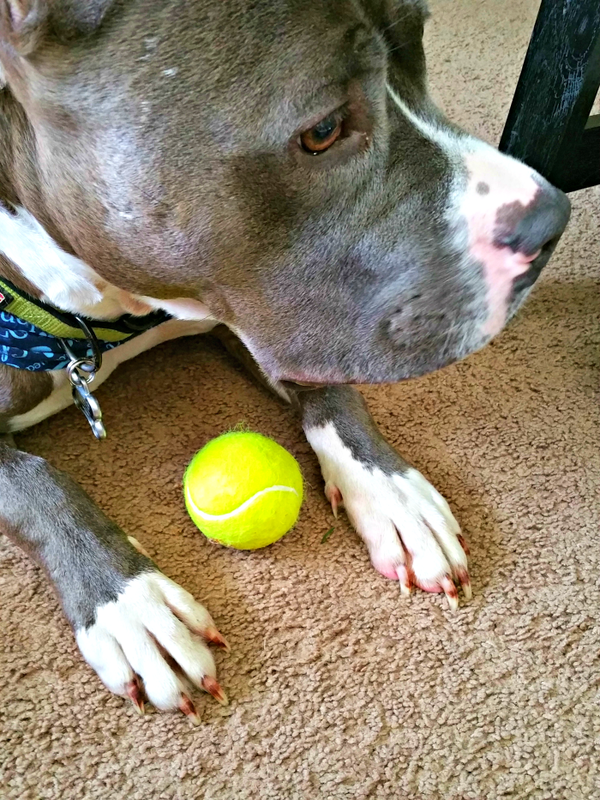 He loves his Busy Ball Toy so much that, when he is finished with getting the Nudges treat out, he still kept an eye on his ball. But, he knows that when we pick up that ball, he will be getting something good… his Nudges Grillers or Sizzlers! 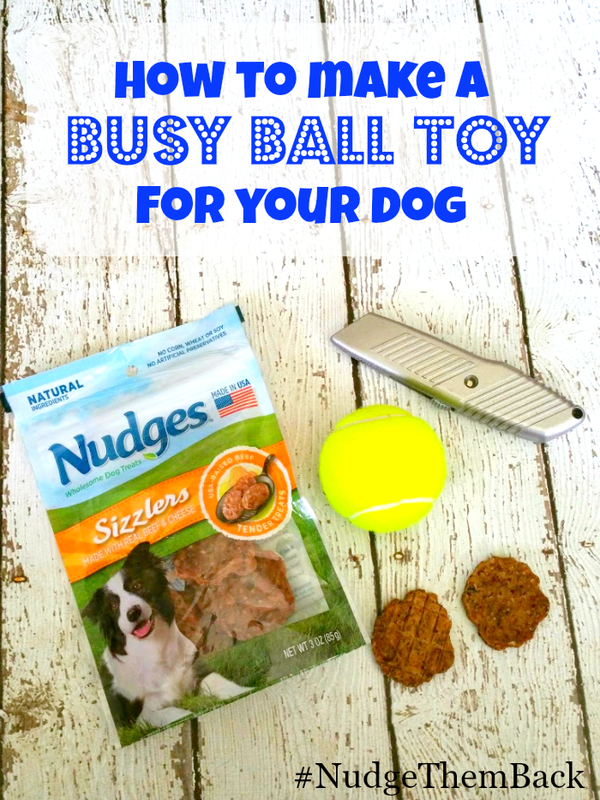 Your dog will thank you for creating this fun Busy Ball Toy and you can feel good giving them the Nudges treats. 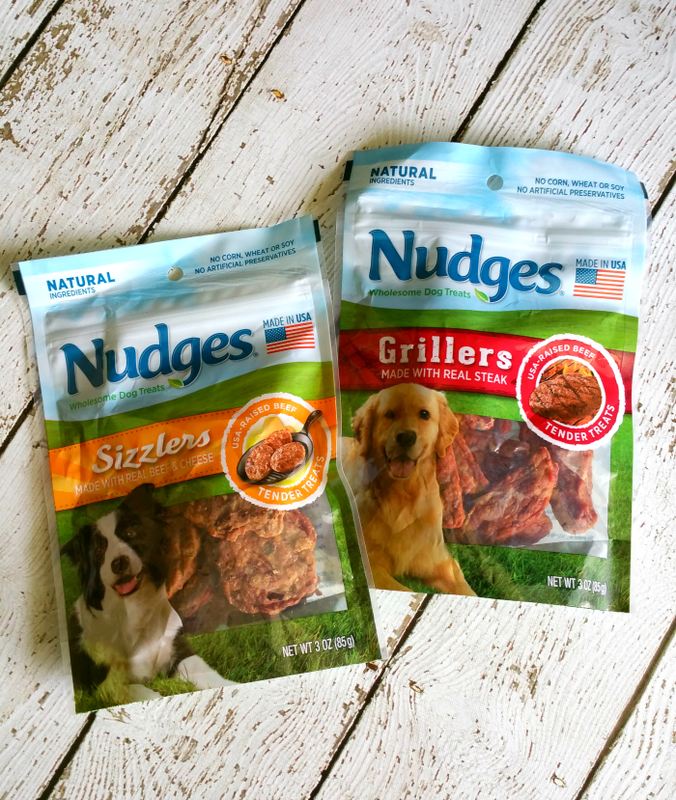 You can get the Nudges Grillers or Sizzlers to add to your Busy Ball Toy or you may want to grab the new Jerky Cut treats (36oz) at Walmart too! Your dog will thank you! Which flavor of Nudges Dog Treats do you think your dog would love the most?